Call your orders ahead and ask for Harvey, Mike or Nick. Harvey Slarskey opened Tatnuck Meat Market in 1975 after a successful career in the cattle business. Before that he was a cowboy. No, seriously. Harvey runs the store with his son, Mike, and first mate Nick. 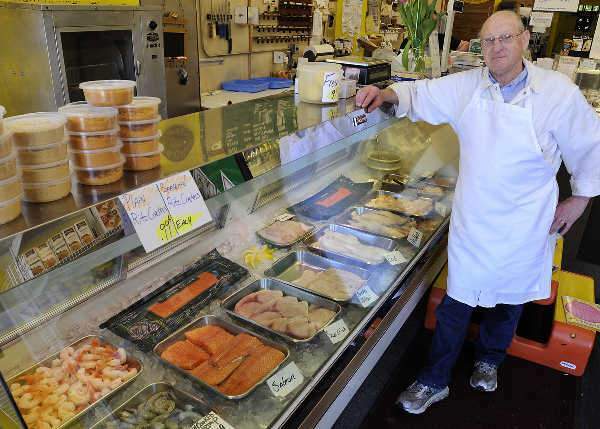 The business expanded to include seafood in 2011. Since opening its doors, Tatnuck Meat and Seafood has been synonymous with quality, integrity and sound advice. Whether you're looking for prime beef steaks, heart-healthy buffalo, antibiotic-free chicken, premium deli or the freshest seafood, you can't beat Tatnuck Meat. Copyright © 2017 Tatnuck Meat and Seafood. All rights reserved.